The Probst VPH150 is the contractors choice of vacuum hand operated laying devices. 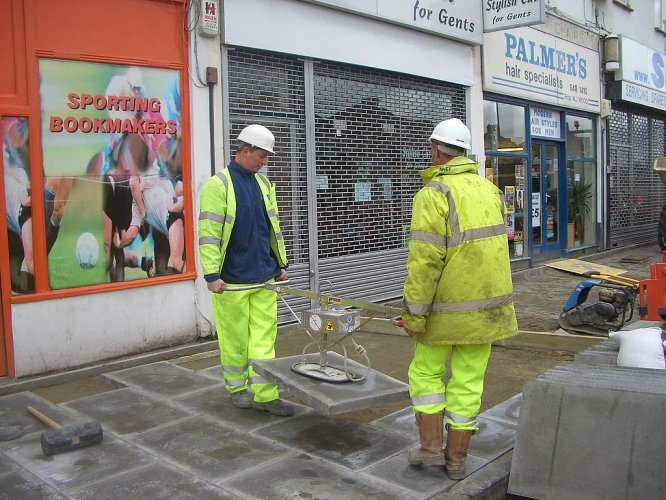 Flexible and powerful the VPH150 is capable of moving dense products, such as high quality concrete ro granite with weights upto 150KG. 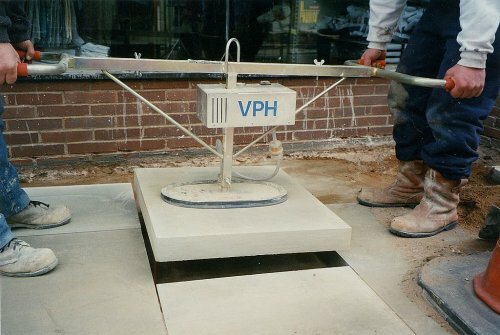 What Make the Probst VPH150 so special? The unique seal is made of 2 components for optimised vacuum sealing. Even if the plate is left sitting on sharp edges for long periods, no permanent marks are left in the seal, therefore no “foldable rests” are necessary to safe guard the seal. Powered by a rechargeable 12V battery, it allows for a full day of operation before a recharge is required. Hight and width adjustable handles make the VHP150 a pleasure to use. With is galavanised frame you can be sure the VPH will remain in good condition. Don’t want to buy? Then Hire! Fast Hire & Sales are premium probst dealer for the north west and midlands. In addition to our sales of probst equipment we offer the entire range of Probst Handling and Laying Systems for Hire. All Probst Equipment is available for hire nationwide on both short-term and long term rentals.